It’s no secret that Airbnb has opened up a whole new world of opportunity when it comes to accommodation options around the world. From gnome-like cottages to luxury tree houses, architectural feats to chic penthouse apartments, Airbnb has it all. While discovering a new destination is exciting in its own right, the place you lay your head at night is an undeniably important part of your stay. To guarantee a memorable experience, check out some of our favorite, and most unique, Airbnb getaways! The brainchild of architect Piet Blom, these geometric buildings were constructed in the 1970’s and gained immediate attention. The cubehouses are built atop Blaak Subway Station on Overblaak Street, and each have three levels. Inside you’ll find a living room and kitchen on the first floor, two bedrooms and a bathroom on the second floor, and on the third floor, sometimes used as a garden, enjoy impressive panoramic views of Rotterdam. 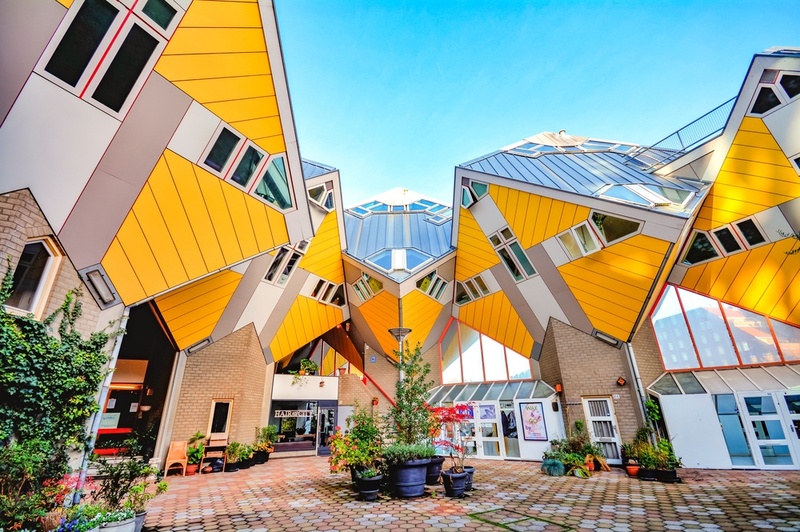 If the remarkably angled walls and vibrant colors don’t have you convinced just yet, the cubehouses are also located in a privileged location in Rotterdam’s city center, just a quick walk from the city’s most famous landmarks. Day trippers will also be delighted to know that Amsterdam is just a 50 minute train ride away as well! Perhaps one of Airbnb’s most famous properties, this unique house is a fantasy escape. 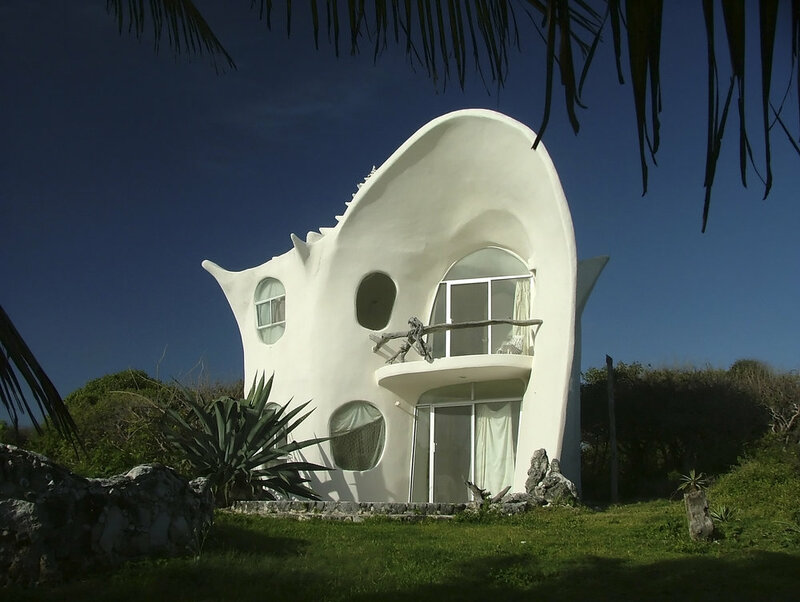 Located on the stunning Isla Mujeres, the Seashell House allows you to get away from the tourist hotspots and relax in a beautiful setting. The whimsical white house features a private pool, two king beds, and a BBQ area, providing everything you need for an ideal stay for up to four people. Nearby you’ll also find sheer cliff sides, tranquil beaches, and turquoise waters filled with colorful marine life, creating an enchanting atmosphere. 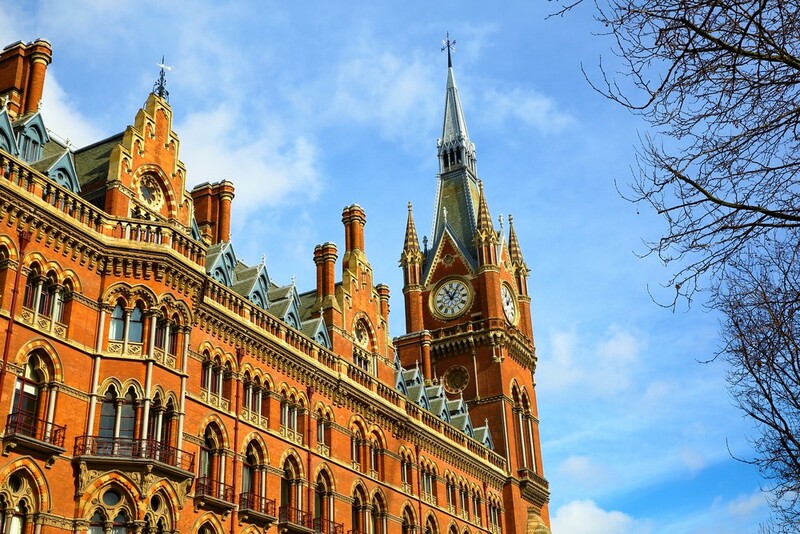 Perched in the clock tower of St. Pancras Train Station, this luxury apartment is a dream come true. The property has recently been renovated to its 19th century splendor, and now includes all the amenities you can imagine. Not only will you have some of the most privileged views of London from the tower’s giant windows, but you’ll also have access to room service from the adjoining George Gilbert Scott restaurant, as well as the St Pancras Renaissance Hotel’s spa, swimming pool, and gym. Inside the apartment you’ll find soaring 15 foot ceilings, a master bedroom with a king size bed and ensuite bathroom, a private library, and second bathroom. 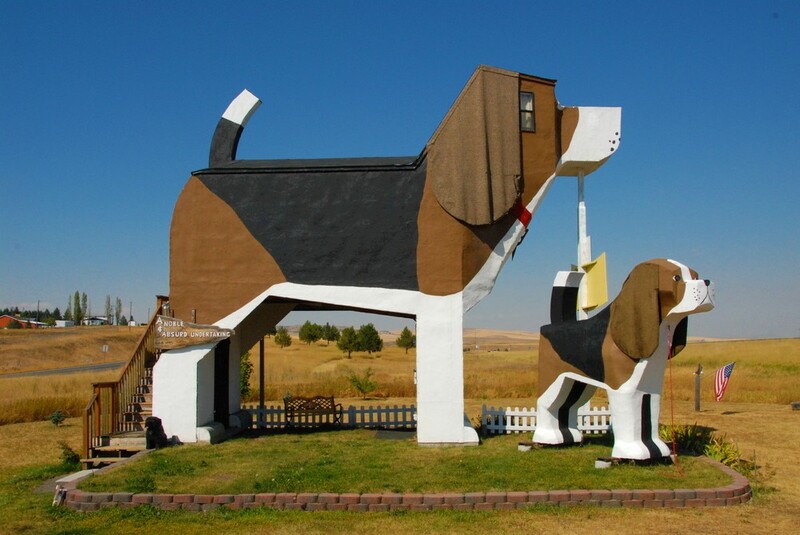 Without a doubt one of Idaho’s most recognized landmarks, these giant beagle-shaped buildings are the perfect place to spend some quality time with your four-legged friend. Also known as Sweet Willy among locals, this pup-property offers just enough space for two bedrooms and one bathroom, and is filled with a library of books, puzzles, and games so you’ll have plenty of entertainment indoors and out. Nearby you’ll find some of rural Idaho’s most picturesque landscapes, decorated with rolling wheat fields, deep gorges, rushing rivers, and rugged mountains, great for exploring alongside your pet year round. After a day full of discovery, kick back on the back porch and marvel at the glowing night sky. In the morning, wake up to a delicious continental breakfast made with local, fresh ingredients. If you thought staying in an overwater bungalow was a luxury reserved only for the rich and famous, think again. 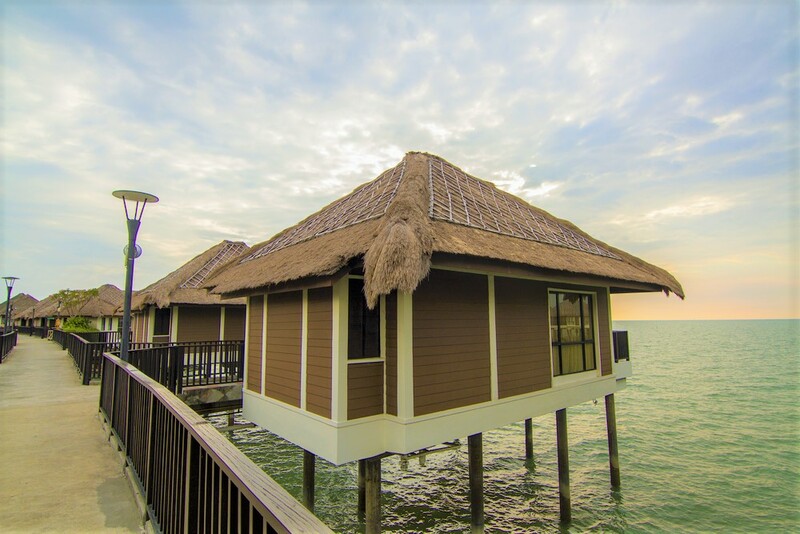 These picturesque huts in Sungai Pelek, on Malaysia’s Goldcoast, are an idyllic place to unwind seaside. Inside each bungalow, you’ll find 82 square meters home to a queen size bed, additional twin beds, two bathrooms, a spacious living room, and a private terrace outside. Dive directly off your deck and into the inviting waters below to cool off. Or, venture on an exciting boat trip, windsurfing excursion, or explore the local nightlife. At AVANI, you’ll also have access to a variety of spa services, a sauna, steam room, pool with poolside bar, and a variety of sports courts. For an unparalleled Irish experience, why not spend the night in an authentic 15th-century castle? Live like royalty and immerse yourself in the charm of ancient Ireland. Perfect for a romantic escape or a family holiday, Ross Castle is a great base to explore the alluring countryside and neighboring towns. With 6 bedrooms, and enough space for 15 guests, this stronghold from the Middle Ages is sure to provide you with an unforgettable experience. 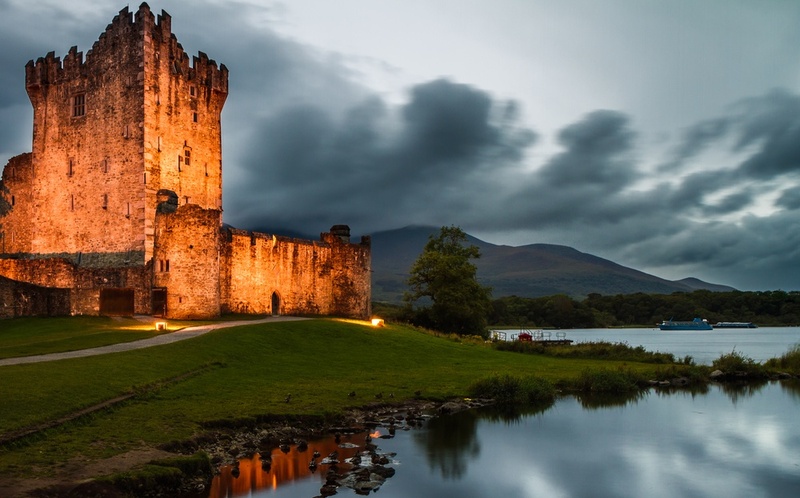 Furthermore, the Ross Castle has also been listed as one of the “Ten Lesser-Known Haunted Places in the World" by Lonely Planet, making it an intriguing place not only for history buffs, but ghost hunters as well! Cone-shaped roofs, intricate stone facades, and inviting decor come together to create these peculiar little abodes. 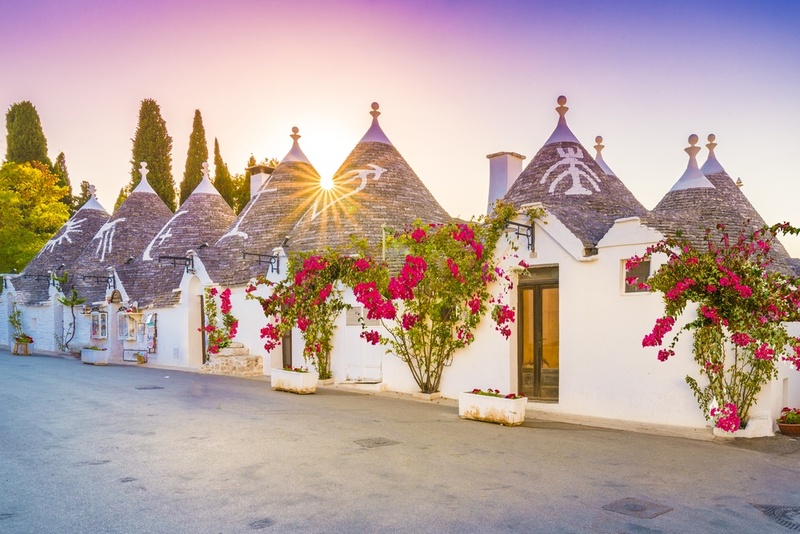 Straight out of a fairy tale, the Trulli e Puglia cottages of Alberobello provide a magical getaway in the Italian countryside. Nestled in the area’s historic center, at Trulli e Puglia you’ll be surrounded by spectacular landscapes and enveloped by its rich past. Each cottage features accommodation for up to eight people, with a relaxing living room, fully equipped kitchen, and private terrace area. The village also has an on-site bar, as well as bike rentals, so you can explore the enchanting scenery at your own pace. So what will it be? Leisurely days by the pool in Mexico, a pet-friendly nature retreat in Idaho, a spooky castle stay, or perhaps something entirely different? With endless options on Airbnb, the choice is all your own.